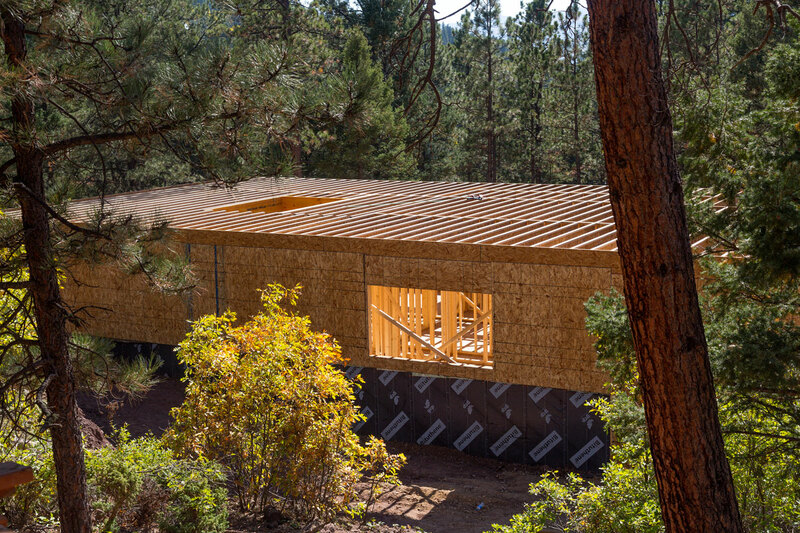 This project was an existing cabin in Angel Fire, New Mexico, that was demolished down to the footprint of the original structure. 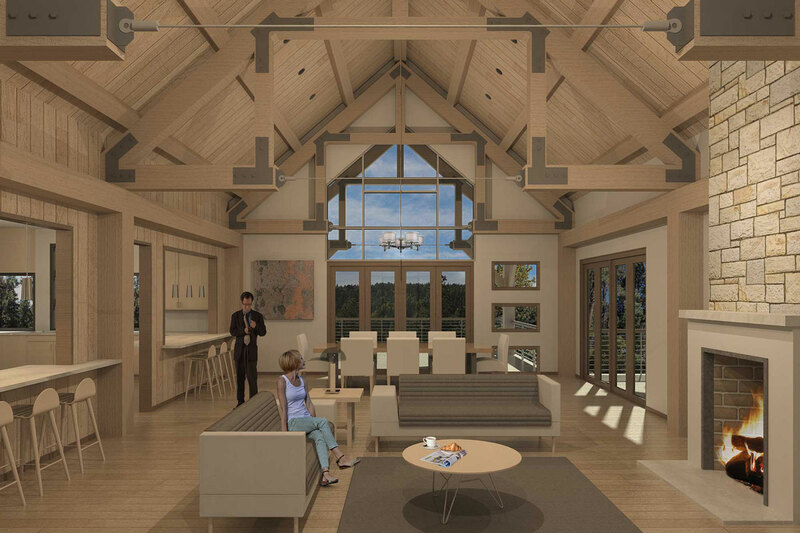 LDG was hired mid-demolition to help design the home based upon the existing footprint. It is a seven bedroom seven bathroom house with a kitchen, living room, dining room, single car garage and porte-cochere. 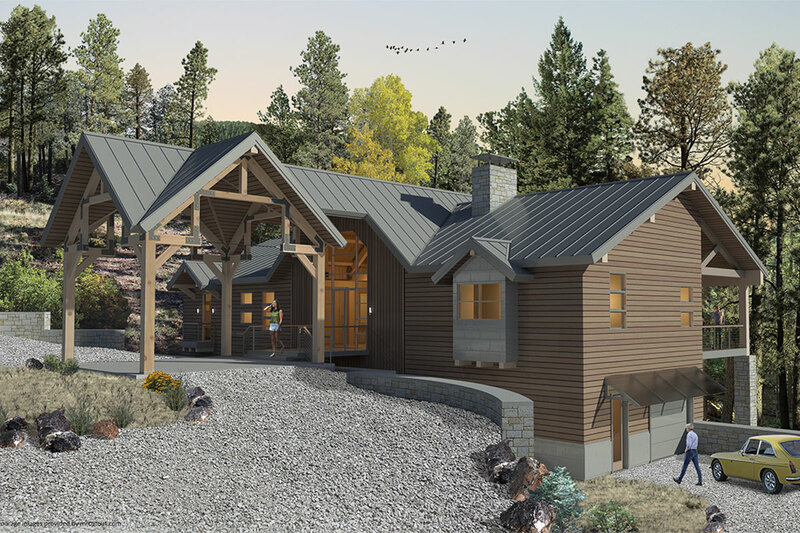 Living Designs group worked very closely with the contractor, who acted on behalf of the owner to complete the design and construction. 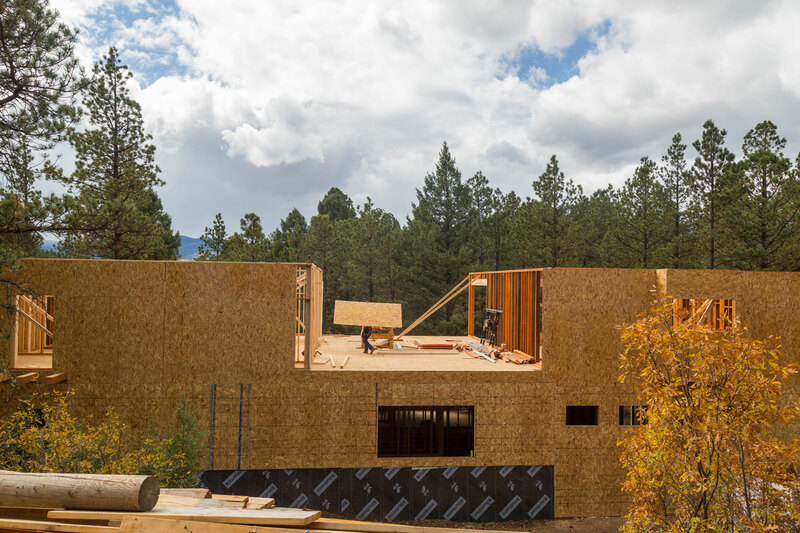 Its aesthetic language is typical of ski-villages in northern New Mexico: pitched roofs, heavy timber, wood framing, trusses and exterior rockwork elements. The project is slated to be complete in the summer of 2019.